Caesar’s Wish. Photo courtesy of Maryland Thoroughbred Hall of Fame. The Maryland Thoroughbred Hall of Fame’s newest inductees are European champion El Gran Senor and the brilliant filly Caesar’s Wish. The selections were made by a committee of Maryland racing industry members coordinated by the Maryland Horse Breeders Association (MHBA) and Maryland Racing Media Association (MRMA). El Gran Senor was a champion in England and Ireland at 2 in 1983, ranked as England’s top 3-year-old and miler in 1984, and retired with seven wins in eight starts, his only loss a second, by a head, as favorite in the Epsom Derby-G1, for earnings of $509,479. His victories included classic wins in the Irish Sweeps Derby-G1 and English Two Thousand Guineas-G1 and the Group 1 Dewhurst Stakes at 2. A son of Northern Dancer bred by E.P. Taylor, El Gran Senor was foaled at Windfields Farm in Chesapeake City. Named for his sire’s Hall of Fame trainer Horatio Luro, the colt campaigned for Windfields in partnership with Robert Sangster and his trainer Vincent O’Brien. He was selected the 1984 Maryland-bred Horse of the Year, champion 3-year-old and champion grass horse. Caesar’s Wish burst onto the racing scene as a 2-year-old in 1977 and in her two years of competition was regarded as one of the nation’s leaders in her division and twice named Maryland-bred champion. 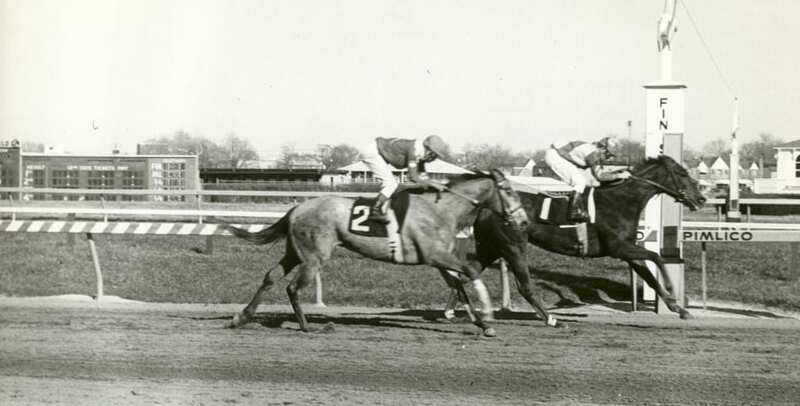 Bred by Nathan Cohen, former Pimlico vice-president and son of former Pimlico president Herman Cohen, and owned by Sally Gibson, the Proudest Roman filly was considered by her trainer Richard “Dickie” Small as one of his greatest achievements and the fastest horse he ever trained. At 2, Caesar’s Wish won the Grade 2 Demoiselle Stakes by nearly seven lengths over that year’s Eclipse Award-winning filly Lake­ville Miss, and captured the Grade 1 Mother Goose and Grade 2 Black-Eyed Susan the following year. She won nine stakes during her career, and 11 of 16 starts while earning $314,507. Sent off as favorite in Saratoga’s Grade 1 Alabama Stakes and attempting to solidify her status as the nation’s top 3-year-old filly, she led going into the far turn, faltered and collapsed, dying of a heart attack at the head of the stretch. El Gran Senor and Caesar’s Wish join MTHOF members Awad, Broad Brush, Challedon, Cigar, Concern, Dave’s Friend, Deputed Testamony, Find, Gallorette, Jameela, Kauai King, Little Bold John, Politely, Safely Kept, Twixt and Vertex and steeplechasers Elkridge, Good Night Shirt, Jay Trump and Tuscalee. The newest honorees, with biographies, photos, videos and complete race records, are showcased on-line at www.mdthoroughbredhalloffame.com. The MTHOF endeavors to celebrate the racing achievements of Maryland-bred Thoroughbreds nationally and internationally, and to showcase their enduring legacies. The planning committee representing varied state racing interests determined MTHOF eligibility for flat runners and steeplechasers retired from racing at least five years. The committee enshrined 12 Maryland-bred horses for the inaugural class of 2013, and two in each subsequent year. A celebration to recognize this year’s class of inductees will take place at Laurel Park on Maryland Pride Day on Saturday, Aug. 18.